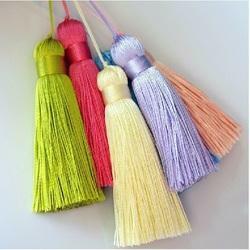 We present a wide collection of packaging tassels like silk tassels, menu card tassels and gift tassels that are perfect for being used in gift packing, card and gift decorations, in shopping bags and in various wedding cards. Available in various stylish and traditional designs, these tassels are elegant and are available in various fantastic colors. 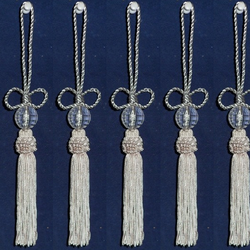 These tassels have very thin strands that give them a delicate and sophisticated look. 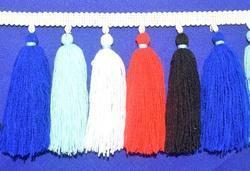 Size Tassel 4" & Hanger 2.5"/1.25". 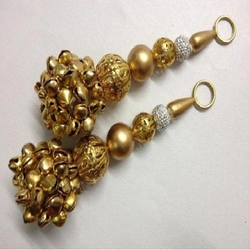 *size Tassel 4" & Hanger 2.5"/1.25". 4)Size according to customer request. We are one the leading manufacturer and supplier of Tassel with the high-quality of material used as per the industry standards. Packaging Details: Standard packaging according to customer's request. 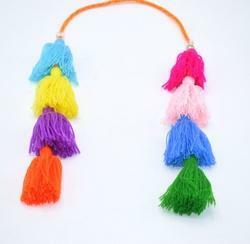 Size Tassel 2" & Loop 4". Size:42" Belt & 0.75" Hook. 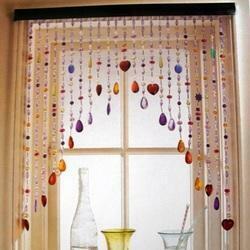 * USE FOR CURTAINS,BAGS,DECORATIVE PURPOSE. 1)Size Lace 1cms. 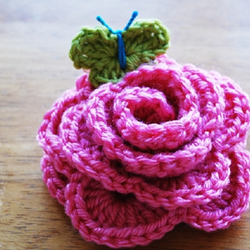 & Cord 4mm. 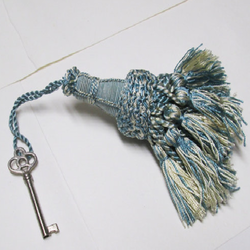 We manufacture and offer key tassels in attractive designs. *Simple design tassel 5. 5"/h 4"
1) Size:Lace 0.75" & Cord 7mm. *size Lace 0.75" & Cords 8mm. Used as restaurant & household supplies, tableware we can produce according to customers' drawing and design. Any color and size we can make . 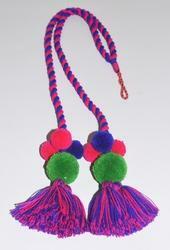 Size- Tassel 13cms. & Loop 8.5cms. Material - Rayon, Metallic & Crystal. Any Colour And Size We Can Make. Looks trendy and luxurious in style. Packaging Details: 15 Days for M.O.Q. Standard package according to customer's request. 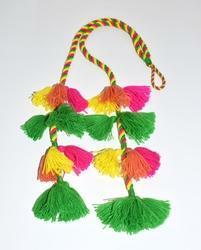 Looking for Packaging Tassels ?